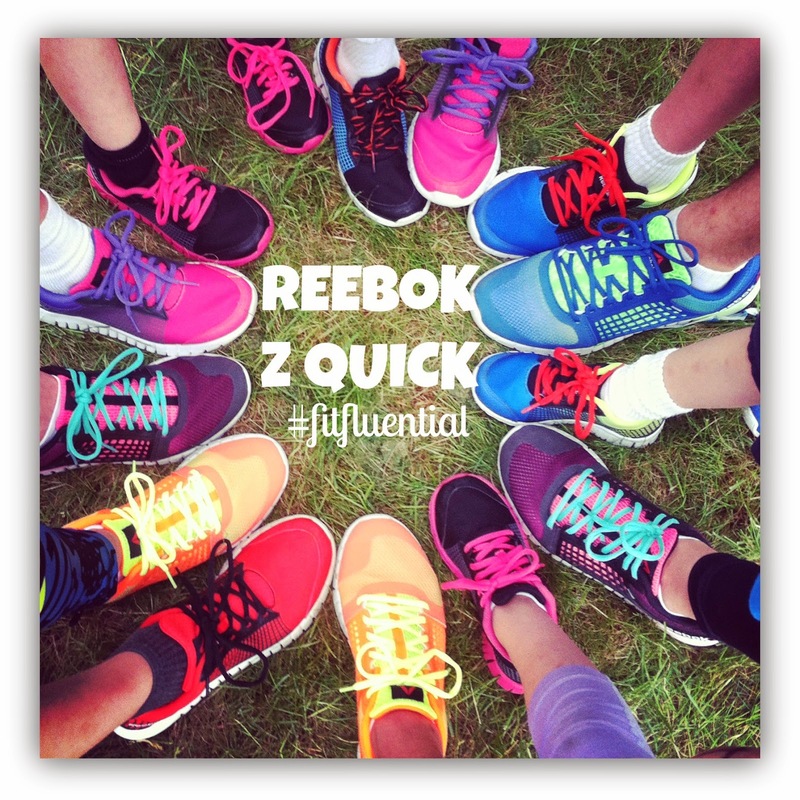 disclosure: The following post is sponsored by FitFluential LLC on behalf of Reebok. Last weekend the kids and I made a trip to Massachusetts. Our first stop was at Ward's aunt and uncles house, where we had the chance to hang out with some family. We don't see them enough and anytime we get to see them is always a bonus! silly face poses are always more fun! 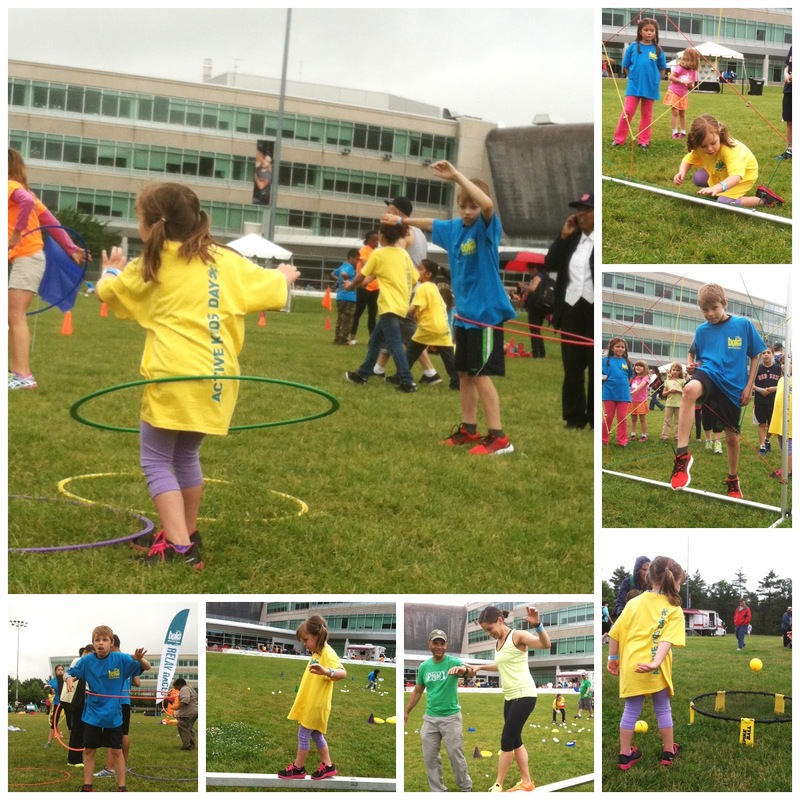 Then we headed off to Reebok HQ for a fun filled day for the BOKS Kids Active Kids Day. 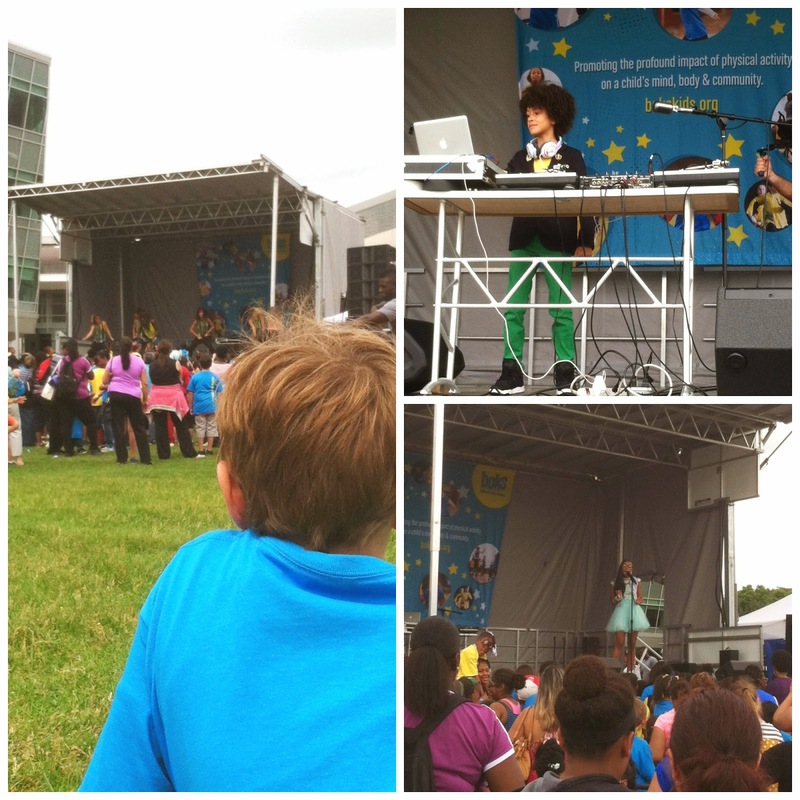 This was actually the 3rd Annual Active Kids Day event. It was designed to bring together communities, schools, and families to get active. And the entire event was free. 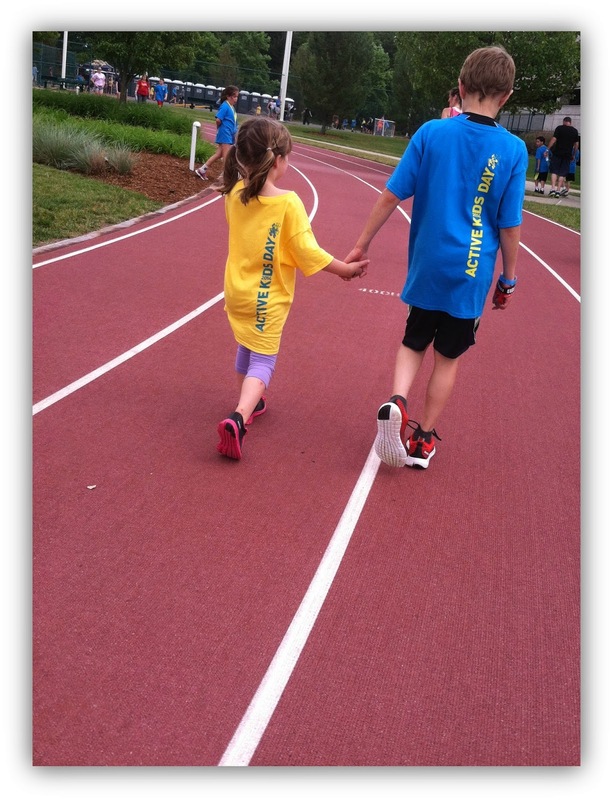 BOKS Kids (Build Our Kids Success) is a before-school program developed by a group of moms to provide elementary school children opportunities for physical activity. It gives kids the chance jump start their brains to better equip them for a day of learning. As a teacher, I've read many studies supporting the need for more physical activity for children as it has a very high impact on student performance in behavior in the school setting. Our kids need to move more! I love the mission of this program "To promote the profound impact of physical activity on a child's mind, body, and community." 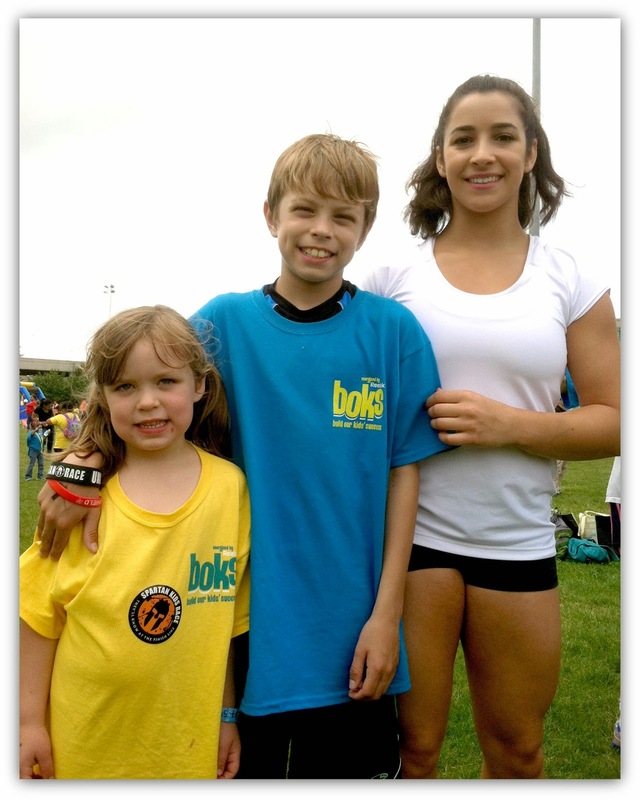 To learn more about BOKS Kids, check them out at BOKSkids.org, on Facebook, on twitter, or email them. If you are a mom or dad with young kids and your job will allow you the time to do this, it would a beneficial program for your own kids and so many more kids in your community! 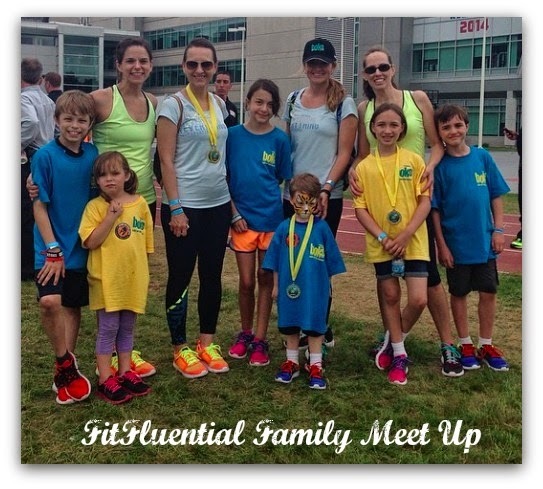 As part of our invitation to attend the Active Kids Day through FitFluential, my family was outfitted in Z Quicks. Poor Ward had to work, so he missed out on great shoes. But the three of us are quite happy with our new shoes! 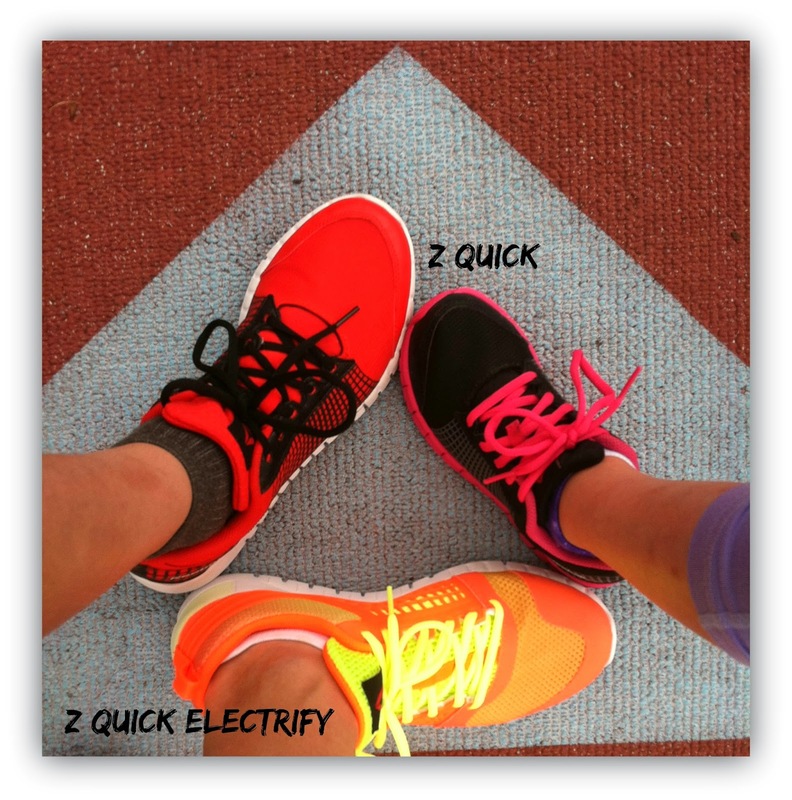 Tucker and Izzy both received the Z Quick and I received the Z Quick Electrify, due to be released on 7/1/14. I was impressed from our stop at the registration tent. We had preregistered online a few days prior to the event and the check in was incredibly quick and efficient. Each of my kids received a bracelet with my cell # written on the band. I received two bracelets that had numbers that matched my kids bands. I thought that was a rather nice touch and made me a little less nervous. They also received some fun shirts to wear! Our first stop was to the Boston Bruins section. Tucker played some street hockey, while Izzy tossed some bean bags. Then we posed by the Bruins truck, Tucker hung out with the Ice Girls and Izzy and I met Blades. We made a few friends back home jealous and now the kids want to go to a Bruins game. I guess we'll have to get that added to the bucket list! 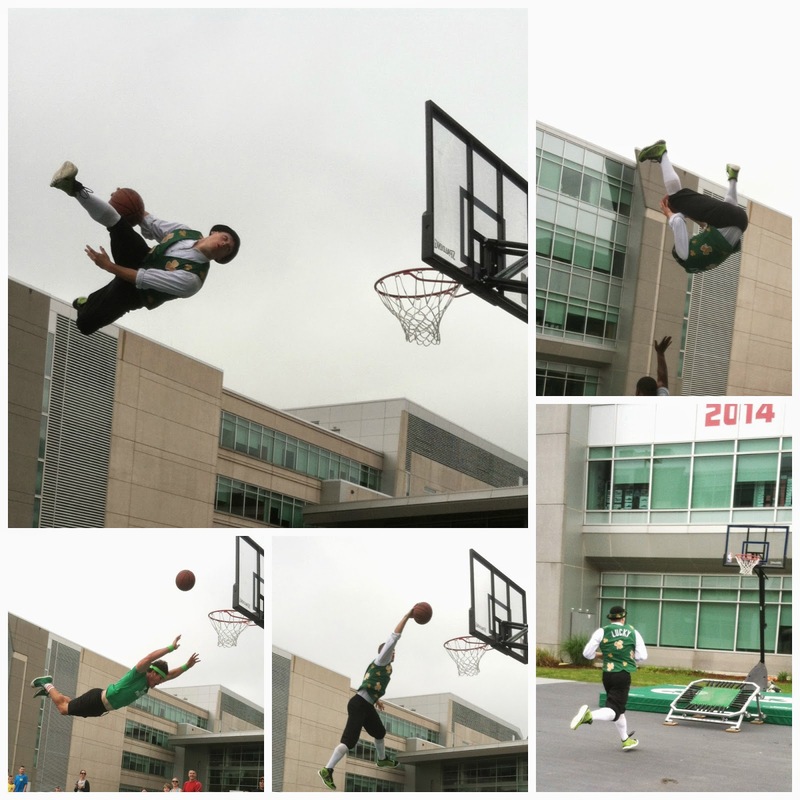 Next up was a visit to the basketball court to watch Lucky from the Celtics perform. We all thought this was really cool! We made a pit stop at the Stoneybrook Yogurt van and sampled some blueberry yogurt and headed off to check out the field events. And then the bounce houses. By this time, it was time for some stretches and the 1 mile fun run. 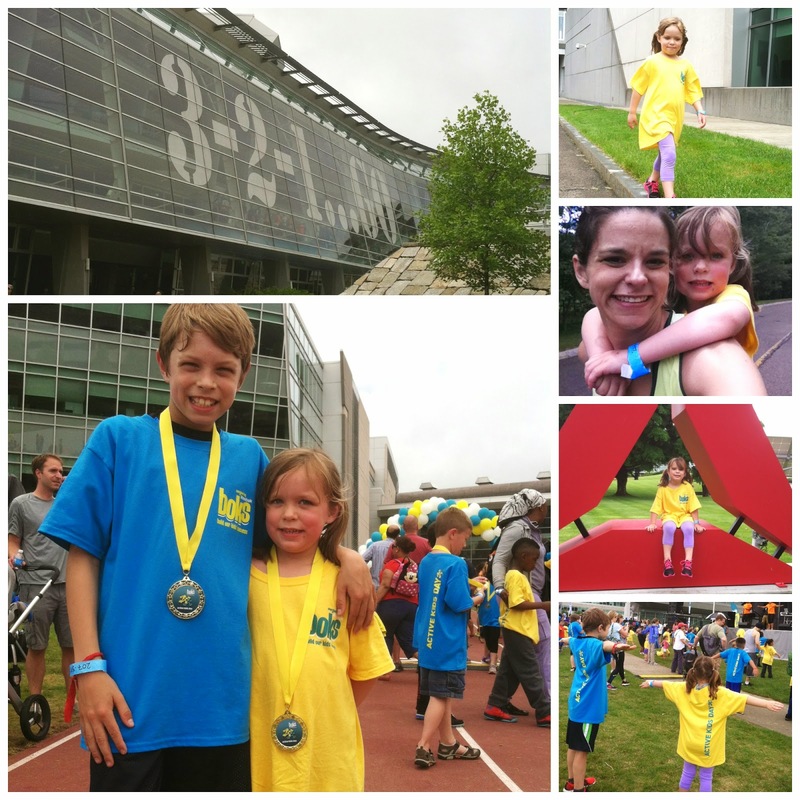 The fun run went by ages 5/6 at one time....and then about 30 minutes later was Tucker's age group. I didn't have another adult with me and didn't feel comfortable letting Izzy go off for a mile...actually, I knew she wouldn't. She wouldn't have made it 10 feet without me. I also didn't feel comfortable leaving Tucker anywhere alone for the amount of time it would take Izzy to complete a mile. So, I made Tucker run with us. Ooops! Wrong age group. I apologize BOKS Kids! I know it was for fun and there weren't age group winners so I thought it would be okay. Izzy's little legs were tired! Near the end she was pooped out. So I gave her a piggyback ride and had to take a selfie. I wish someone would give me a piggyback ride in a marathon! 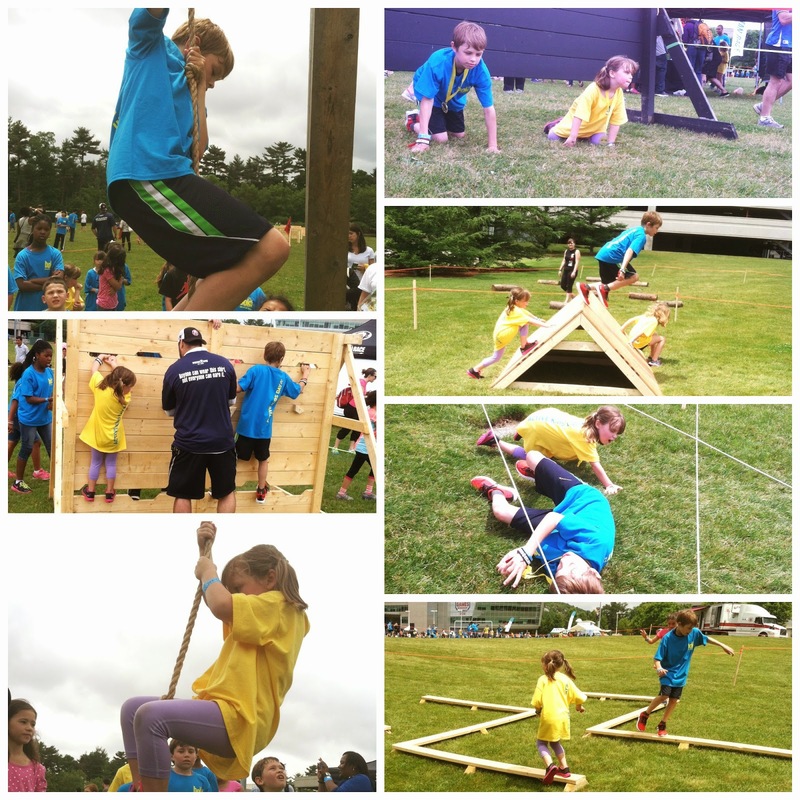 After the fun run, the kids were pumped up and had to do the Spartan course. 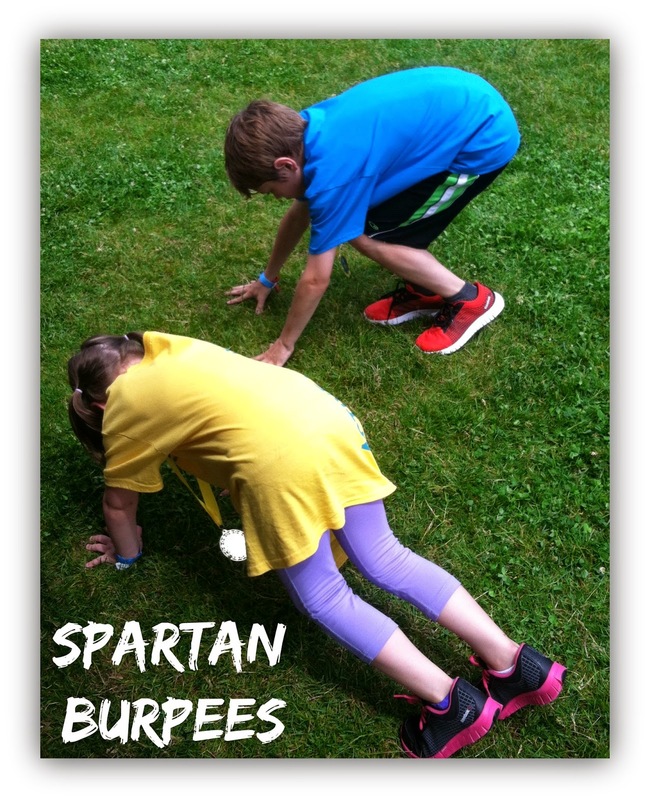 In order to get their Spartan bracelet and sticker, they had to do 10 burpees. No sweat for my kids. And then some live music. After the live music, we met Aly Raisman, and Olympic Gold Medal Winning Gymnast! In the midst of all this fun, I had the chance to meet up with some New England FitFluential Bloggers! I knew she was FitFluential when I saw her. 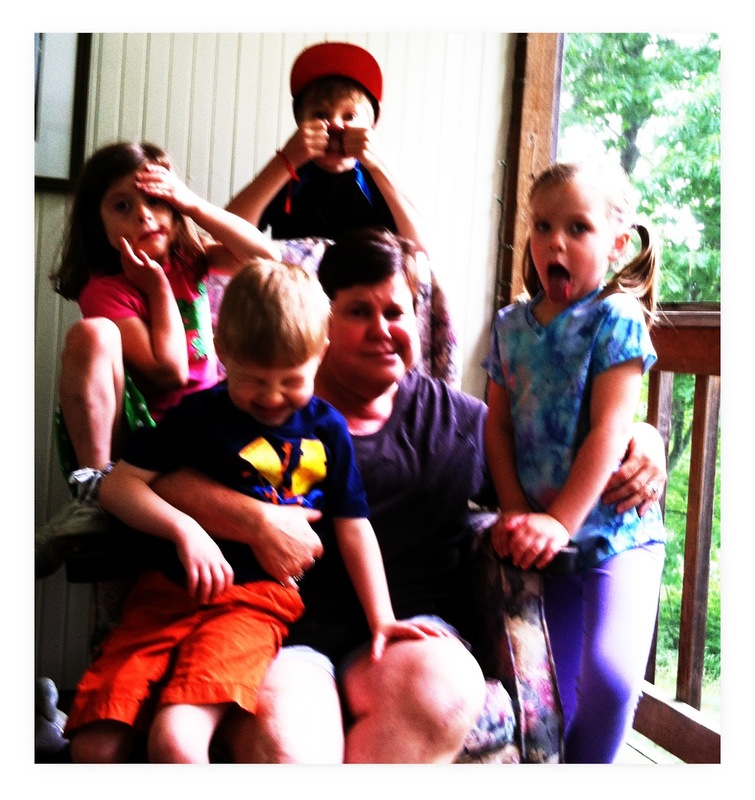 I hung out with Jennifer from Savor The Thyme for a while while our kids hung out. I love that we were wearing the same outfits! Reebok was quite generous and sent the moms a full head to toe outfit to wear with our Z Quick Electrify shoes. The skinny capris are quite mom friendly with the wide waistband (no muffin top!) 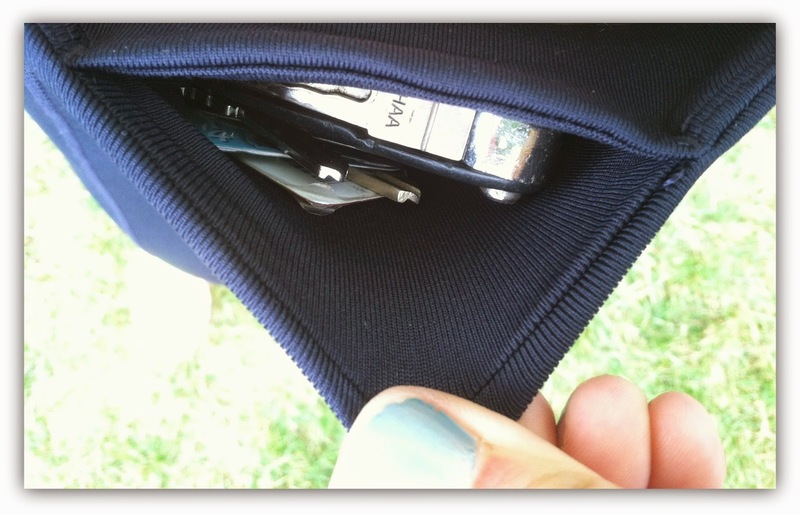 and they have a great pocket in the waistband! I'm a big fan of pockets. I always need a place to stash my keys, gum, or fuel! 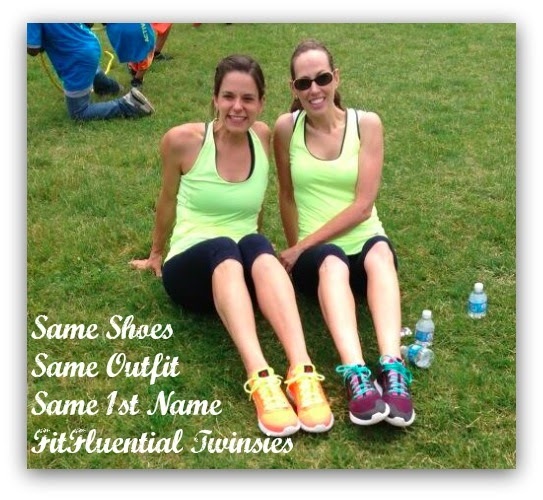 The two different woman colors sent to the FitFluential Ambassadors at BOKS Active Kids Day. I get nervous wearing new shoes all day long not knowing how they would feel, but these shoes were super light and airy in the uppers. The toe box was roomy enough my wide feet were happy as well. 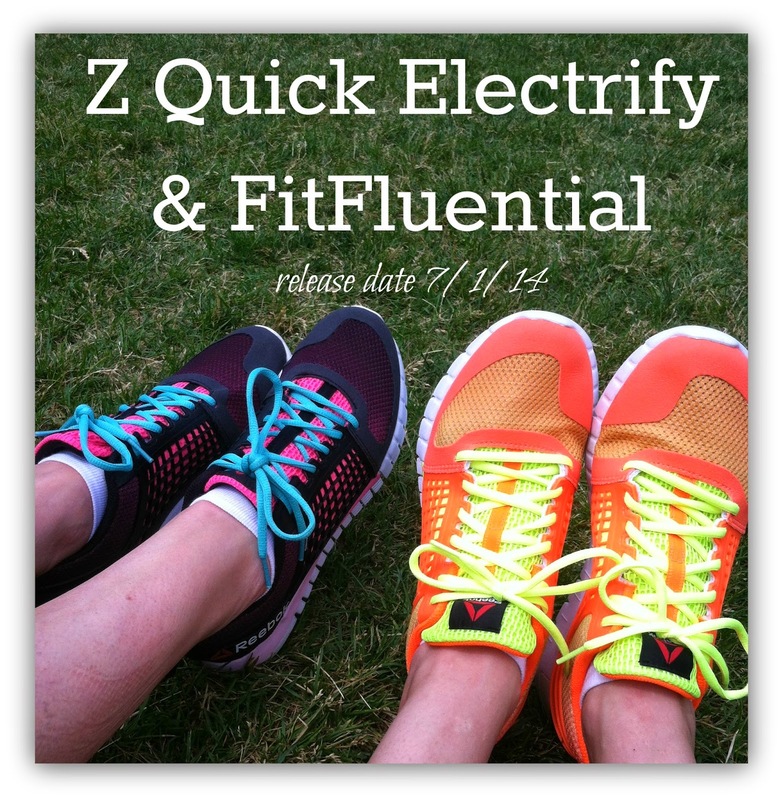 Mark your calendars for the Z Quick Electrify release on 7/1/14! You'll want to check these out! After we chatted, we met up with the rest of the FitFluential crew that was out and about at the BOKS Active Kids Day. Sadly, we took this picture before Ru joined us. And of course, we needed a photo of our Z Quicks! Check out the colors and happy feet! The kids thought this day was the best day ever. We started off with visiting family, then spent an entire day (well 11-3) at a kid oriented event that focused on healthy lifestyles and activities and had some pretty awesome music as well. They were all smiles most of the day and when they weren't smiling, it was just pure exhaustion. A good kind of tired. 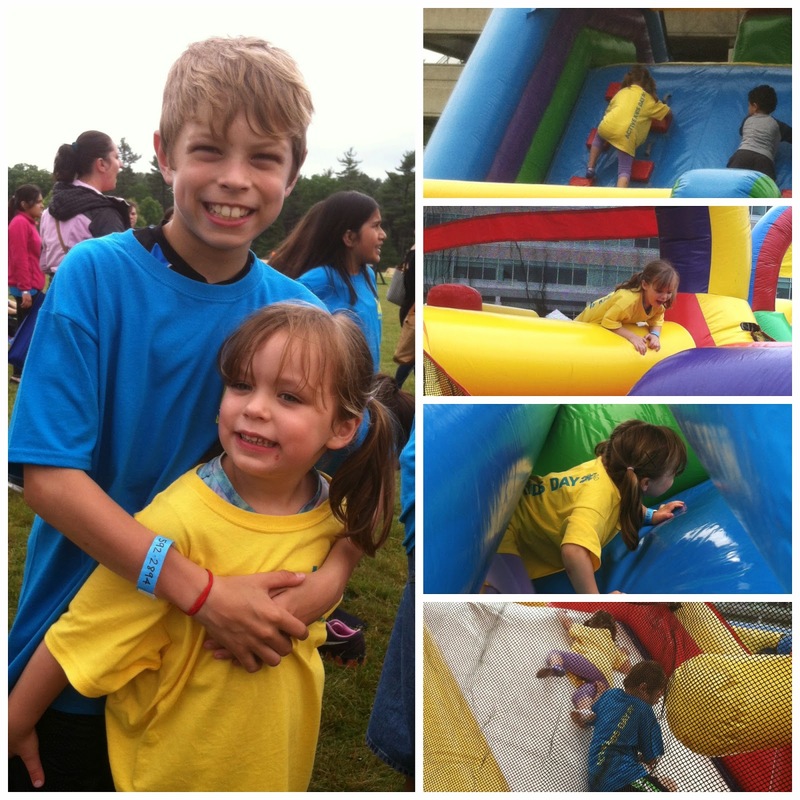 I've been dragging my kids to all of these mommy events/races, it felt great to take them to an event just for them! And one more thing - as we were leaving the BOKS event, we were stopped by a super nice lady asking if we were leaving. I said yes and she asked to check our bracelets. She checked the numbers from my bracelets and made sure they matched my kids bracelets. That part absolutely rocked! I love it when others take my kids safety in account like that. Have you ever attended an event like this? This was my first experience at one and I want to get my kids to more! I'll be on the lookout for next year's event! LOVE LOVE LOVE anything to get kids moving! How cool you got to meet Aly! She seems awesome. And I LOVE Stonyfield. I wish they'd send their truck to Omaha! I love the safety measures they put in place! Your kids are adorable!